The world is distilling itself on my plate. I write from Dubai, where Im dining at brand new Caribbean, Peruvian, Modern Indian and more. But it’s the India-shining factor which is dazzling me here.I dine (again) at the finest Peruvian restaurant in London and Dubai, Coya. Vibrant authentic Peruvian cuisine seduces. Here are the surprises, not only is it owned by the Indian brothers Gulu and Arjun Waney, even their executive chef is Sanjay Dwivedi. Creating international waves too are my charming dining companions. Global power couple, Mukesh and Vandana Luthra, pioneers of the wellness and beauty industry. The globetrotting gourmets jetset between South Asia, Middle East, Africa, India and Uk tending to their everexpanding company. 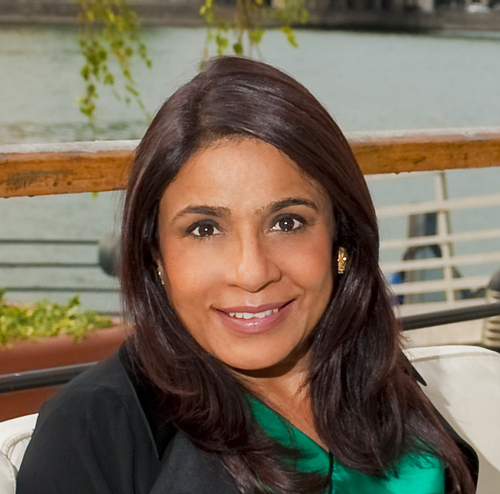 No wonder Padmashree Vandana Luthra has been on the Forbes and Fortune list of the 50 most powerful women in business. Powering this global business, the dynamic Chairman Mukesh shared the most amazing insights about global food too. From ceviches sparkled with Peruvian chillies to raw fish hamachi with Kolkatta’s jhalmudi and that at the brand new, stunningly beautiful Jaan. Perched in the penthouse of a swish downtown hotel, maestro Farokh Khambatta’s Jaan, is Dubai’s hottest opening. It dazzles with it’s tantalising repertoire of progressive Indian creations. Yet another Indian is making global waves. Jai hind! This entry was posted in Food, Restaurant Review, Review, Travel, Uncategorized and tagged food review, foodies, india, peruvian cuisine, rashmi uday singh, travel, travel blog.